When my dog, Bazil (a Border Terrier), had begun developing reactive behaviour towards other dogs I was worried that he would transfer this behaviour to children and strangers. I looked around for a trainer that could help me out with his behavioural problem. A1 Tailwaggers was the only one that stood out. The trainers seemed to be approachable and knowledgeable, not to mention that the price was right. Even after the consultation session, Paul and Judy had taught Bazil some new commands and we were on our way to fix his maladaptive behaviour. Now, four sessions later, Bazil can go into dog park (whereas before he would react to a dog that was 50 feet away) and can interact and meet other dogs. Sure he’s not perfect yet (and what child isn’t really) but I know that Paul and Judy have armed me with the right tool and knowledge for us to keep on improving. As well, I’m comforted knowing that in the future if I have any questions or problems with Bazil, I can send them an e-mail or give them a call. I will definitely be recommending Paul and Judy’s services to my fellow dog owners. Paul Storrie is a miracle worker! I adopted a shelter dog and it turned out she was very nervous around people and dogs. Not having much experience with this kind of behavior, we both needed help. After 5 visits from Paul, I have a new dog. She lets people pet her without first barking at them and I now am comfortable having her around other dogs. My friends and family can’t believe it is the same dog! We are very happy to provide this letter of reference to Judy and Paul at A1Tail Waggers. Over the years, they have provided us with excellent responsive and Flexible service, which suits our hectic work life and schedules particularly well. We know Charlie is always in the very good hands of a professional and knowledgeable couple that care as much about their customers as they do about their own pets. It’s quite refreshing to see Charlie so happy and willing to go for his daily walk with Judy and Paul and to see him always come home excited and playful. In addition, we always appreciate the comments, suggestions, and notes we get from them. They have also been very helpful with any training issues, providing notes, comments and suggestions when necessary. We highly recommend A1 Tail Waggers and would be willing to answer any questions You might have. I decided to use A1 Tailwaggers to train my dog I recently adopted as a rescue. He was abused and abandoned by his previous owners and was easily frightened of new situations and people. Paul and Judy responded to my enquiries immediately and Paul met with my dog (Conall) and me on my schedule. My dog bonded immediately with Paul and responded to his training very well. Paul was very patient with me as I learned the proper way to handle Conall and he was very patient with Conall whenever he acted out or overly excited. 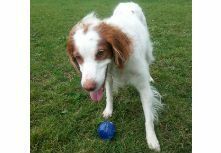 I signed Conall up for daily walks, which have helped reduce his separation anxiety and has done wonders for helping Conall deal with other dogs and with strangers. Conall smiles and jumps for joy every time he sees Paul and really enjoys his walks with Heather. Judy is an absolute delight to deal with as well. I absolutely recommend A1 Tailwaggers for training or walking or anything you think you and/or your dog might need. I contacted A1 Tailwaggers because I was desperate to find a solution and help when I had a very bad puppy. I was very frustrated and felt helpless. My puppy was peeing and pooping all over the apartment. He was destroying my furniture and running around all over the place. After having A1 Tailwaggers train my puppy over the course of several weeks, he became much better behaved, less destructive and having less accidents. I learned that it is not only the dog that needs to be trained but also the owner and now have a very sweet, loving, well behaved dog. 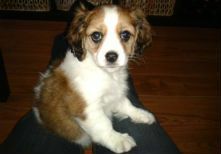 We are using A1 TailWaggers’ services for our two puppies, Jak and Bella. They have both attended Paul’s puppy training – they both love Paul and have learned a great deal during the training sessions. Having two puppies growing together is a fairly demanding job, but Paul helped us throughout it and made this period so much more enjoyable. I would definitively recommend his training. 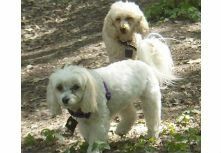 We are also using the puppy visit/ private walks for our dogs and looking to gradually integrate them in the group walks. We are very happy with the care and professionalism of the dog walkers and I LOVE the little notes I find when I get home. Training turned out to be a fun and positive experience for ourselves and our dog; convenient too, since it was all done in our home, in the dog’s natural environment. The methods were easy to apply and understand, and gave quick and satisfying results. 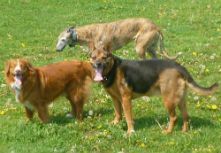 We would recommend them to anyone in need of dog training. Hiring Judy and Paul of A1TailWaggers has been one of the best things we could have done for our Shipoo, Maki. Upon my first phone call to A1TailWaggers I was impressed. After having to let our dog walker go, I called A1TailWaggers on a late Friday afternoon and within two hours of my leaving a message we had set up a “get to know each other” meeting that weekend. As soon as Judy and Paul came into our home, I knew they had a special place in their hearts for dogs. Maki immediately took to both of them and I had no question of their love, dedication and professionalism. Maki walks three times a week and she is always left clean and well exercised. We rush home after each walk anxious to read her daily note that is dictated by Maki and written by Judy. (Her photo album is quickly filling up with her notes and emailed pictures of her on her walks!) Paul and Judy are very conscientious to dress Maki properly in the cold and wet weather and respect that she is allowed limited treats. If there is a change in Maki’s behavior I am contacted that day to discuss it. Anytime I have left an email or voicemail, I have received a callback the same day! Judy and Paul represent those things that sometimes people forget because of busy schedules. Whenever I am home and Maki is dropped off, they always take the time to talk to me about behaviour issues or even the new friends that Maki made that day. A1TailWaggers excels in customer service and professionalism and it is without hesitation that I would recommend them to anyone interested in dog walking, sitting or training services. Bailey just loves her Monday Walks. I swear that dog knows what day of the week it is … she starts to pace and sit by the door on Mondays!! When she see’s Paul and Judy she goes crazy with excitement. Then it’s…Mom Who? Let’s go…. I feel comfortable with Paul and Judy taking Bailey for a few hours…it’s like sending your child to a Baby Sitter…you have to feel comfortable and know that they are well taken care of, safe and loved. A1 TailWaggers’ individual and personal approach made our training sessions something to look forward to. It was training made easy, we were amazed with the results and what our puppy was capable of learning. Reliable and flexible service. This was truly a positive experience for all of us. I have already recommended Paul and his team to a friend and would not hesitate to do so again. Many, many thanks Paul.